North Carolinians with certain criminal records will now have an easier time accessing expungements. Gov. 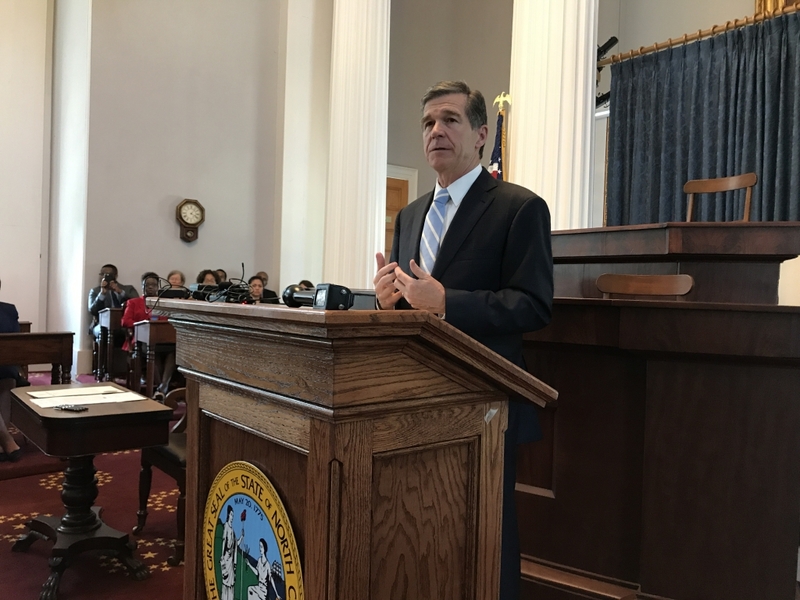 Roy Cooper on Friday signed into law Senate Bill 445, a bipartisan measure significantly expanding access to expungements, a process that erases criminal convictions in the eyes of the law. The changes to expungement eligibility will provide meaningful relief to a significant portion of the estimated 2 million residents with criminal records, particularly men and women denied jobs, housing and other resources and opportunities based on charges that were dismissed or disposed “not guilty,” but will remain on their criminal records. 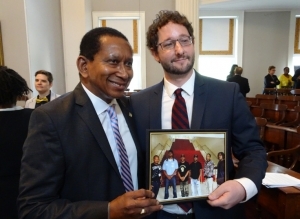 “We commend lawmakers across party lines for continuing to restore opportunities to individuals with criminal records striving to be prosperous, law-abiding community members,” said Daniel Bowes, attorney for the Second Chance Initiative at the NC Justice Center, the parent organization of NC Policy Watch. Bowes helped write SB445. He also thanked several of the lawmakers for their ardent support of the measure, including Rep. John Faircloth and Senators Floyd McKissick, Tommy Tucker and Angela Bryant. Numerous lawmakers and other criminal justice stakeholders, including some district attorneys, judges and many employees from the Department of Public Safety, were in attendance at the ceremony. Individuals in North Carolina are often charged with felony drug offenses but plead guilty to misdemeanor drug charges. The felony charges, though dismissed, stay on their record. SB445 will help to change that. McKissick also shared a few words about the ceremony on Facebook. He thanked everyone who worked on the bill, including Bowes and colleague Bill Rowe, General Counsel and Deputy Director of Advocacy at the Justice Center. “This bill will provide a second chance to thousands of people who have paid their debt to society and who have earned and deserve an opportunity to obtain gainful employment and to get their lives back on track by having their criminal records erased under certain circumstances,” he wrote. Corey Purdie, a North Carolina resident said he was in awe at the ceremony when the audience stood and applauded as Cooper signed the HB445. “Though this bill does not include someone like myself who has multiple felony convictions from a life I left behind more than 20 years ago — it is a huge victory and I am grateful for my brothers and sisters whose lives will be rewarded by this great day,” he added. 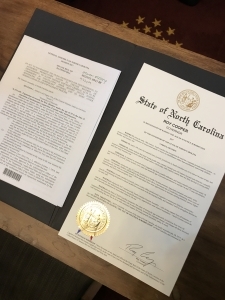 After signing the bill into law, Cooper also signed a Raise the Age proclamation. Lawmakers recently passed a bill to raise the age of juvenile prosecution but it won’t go into effect until 2020.